Officedrop’s office deliveries of fruit, milk and more in Birmingham and the Midlands are perfect for any busy workplace. Working with carefully selected suppliers at Birmingham Wholesale Market, we source the highest quality fruit for inclusion in our hand-packed and well-presented mixed fruit boxes. We also offer cost-effective office milk deliveries, as well as other goods such as tea, coffee, sugar and bread. Beyond the kitchen, our flower delivery service is perfect when you need an impressive bouquet of seasonal blooms for your meeting or reception area. 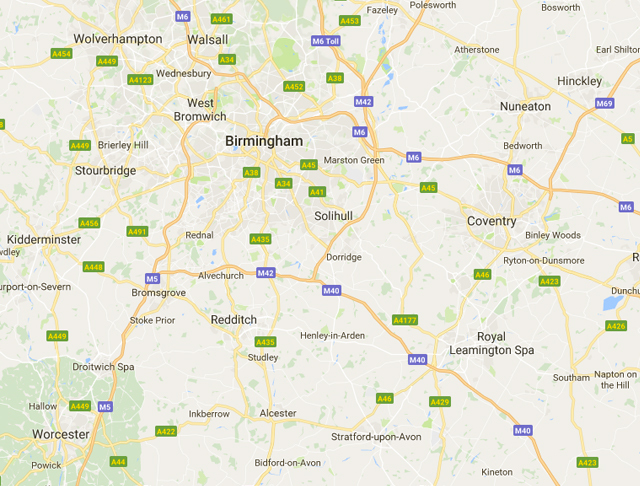 We deliver to the city centre and suburbs of Birmingham daily, Monday to Thursday. Further afield, we make deliveries to other cities and towns throughout the Midlands predominantly on Mondays and Wednesdays. Whether you want to receive office fruit deliveries regularly as a way of encouraging your employees to be healthy, or want to save time by having milk and other office essentials delivered to your door, we’re the people to call. Find out more about our office fruit delivery, milk delivery and more in Birmingham and the surrounding areas, call us on 0333 358 3310. Fruit Facts! If we stacked all of the boxes we deliver each week on top of each other, the stack would be over two times the height of the 500ft tall BT Tower in Birmingham.